Matrimonial attorney and military expert James Hagler recently hosted fellow Chicago divorce attorney William Bass on Chicago Counterpoint TV . Bass, known for litigating complex cases to victory, discussed his winning strategies that recently resulted in a father being reunited with his children after it was reported he had been kicked to the curb. Click here to view this father’s message. “We go to trial to win. The safety of our client’s children often depends on it. Failure is not an option,” said Bass, a tenacious advocate for his clients. Hagler guest hosted for Jeffery M. Leving, who was presenting on fathers and education at Howard University in Washington, D.C., alongside White House staff and national policy makers. Hagler, a leading Chicago attorney, has been named a Chicago Best Lawyer. Having served in the U.S. Army, he takes special pride in helping military fathers overcome family law related challenges. Highly regarded for his expertise in litigating high-profile and high-asset cases, Attorney Hagler recently discovered and recovered hundreds of thousands of dollars that the opposing party had hidden during the initial divorce proceedings, restoring his client’s financial independence. Chicago Counterpoint TV is broadcast live on Channel 21 of Chicago Access Network television (CAN-TV) and provides essential legal education to single dads, men in divorce and Chicago divorce lawyers seeking to expand their professional knowledge. 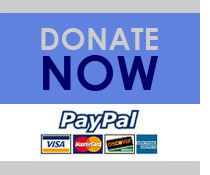 Viewers can also stream the show live at http://cantv.org/live and participate in discussions on the Fatherhood Educational Institute Facebook page. 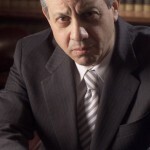 A divorced father of four, William Bass is an award-winning legal scholar who has unparalleled experience in all aspects of family law disputes. 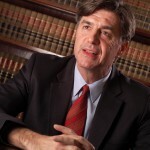 He has litigated complicated cases for decades in trial, appellate, and federal courts. To accompany degrees from Boston University and John Marshall Law School, James Hagler also holds an FAA Airframe and Power Plant License from the University of Illinois Institute of Aviation. He retired in 2005 from a combat unit of the Illinois National Guard. Hagler brings his battlefield tactics to the courtroom on behalf of others. He has represented many high-profile clients including professional athletes, recording artists, and public officials. A respected litigator, Hagler was honored with the Award of Merit from the National Center for Missing and Exploited Children for his work and knowledge in international Hague Convention custody litigation.